Intent: To make a large, powerful anti-infantry robot meant to replace ground artillery. Battery - In the very center of the Megablaster robot, surrounded on all sides by thick armor, lies the massive battery that fuels the Megablaster. It can sustain the robot for five to twenty-five hours depending on how much exertion it performs. When the battery is empty, a portion of its back can be opened through a small combination lock and the battery can be recharged outside the Megablaster. Giant Metal Man - Each Megablaster is shaped to resemble a large, well-built human, consequently becoming a terrifying presence on the battlefield. A Megablaster is as much of a physiological threat as it is a physical threat, especially against smaller or less advanced species. Human Actions - Being roughly humanoid, Megablasters can enjoy a level of adaptability far above that of their vehicular counterparts. While not being quite as strong as Megagunner Robots, Megablasters are capable of lifting up very large objects and hurling them at enemies. Additionally, Megablasters can evade fire easier and move faster than Megagunners with their smaller, lighter bodies. Bulletproof - The Megablaster is completely covered in very thick armor, only surpassed by the armor of Megagunners. A Megablaster is completely immune to small-arms fire, and highly resistant to ion grenades. However, an anti-tank rocket to the head or four to the body are enough to destroy or incapacitate a Megablaster. Heavier armaments found on tanks, walkers, forts, and capital ships can typically kill a Megablaster in two or less shots in any area of the body. Giant Rocket Rain - Megablasters wield rocket launchers two to five times larger than infantry issue rocket launchers, which can inflict horrific damage on grouped enemies. Their penetration is much better than that of Megagunners, allowing them to eliminate large tanks and walkers with ease. Additionally, they fire twice as fast as any human with a rocket launcher, creating an indefinite barrage of rockets. Artillery - One of the greatest differences between Megablasters and the other two products of the Robot War Machine Project is its significantly increased sight range, firing range, and accuracy. A Megablaster can detect a hostile force from up to a kilometer away, and when standing still, fire with 90-95% accuracy on an enemy who is moving predictably. Additionally, damage falloff will not become a factor for the Megablaster's giant rockets until they have traveled approximately one and a half kilometers. Target Priority - The Megablaster will always target the largest enemy, followed by the one closest to it. Consequently, a light tank with a skilled driver can effectively distract a Megablaster for multiple minutes. Giant Metal Man - The Megablaster's size makes it an extremely obvious target to tanks and artillery. While smaller than the Megagunner and capable of firing at longer ranges, the Megablaster is still a massive robot and often within range of enemy heavy armaments. Superconductor - A giant plate of metal and wires, the Megablaster's ultimate bane is an ion cannon emplacement. Even a tripod ion cannon can be enough to hinder a Megablaster significantly, slowing it to a standstill and disabling its targeting system with enough pressure. Artillery - Unlike the Megagunner, the Megablaster's effectiveness is severely reduced at close range. In closer ranges, the Megablaster's targeting system becomes very stressed and fires with significantly reduced accuracy, often leading to friendly fire. Self-Explosions - The Megablaster is extremely vulnerable to its own rocket launcher, and can be quickly destroyed if it fires on a target within three meters of itself. Another effective method to destroy a Megablaster is to go right under one, while leading a second Megablaster to fire in the path of the first, resulting in at least one Megablaster being destroyed. The Megablaster is the second product of the Robot War Machine Project. The rocket launcher design was perhaps the most unique of the three. It was the smallest of the three robots, while having a sight and firing range significantly larger than than the two. However, the rocket launcher robot fell behind the other two robots in armor, rate of fire (even excluding the minigun) and battery life. 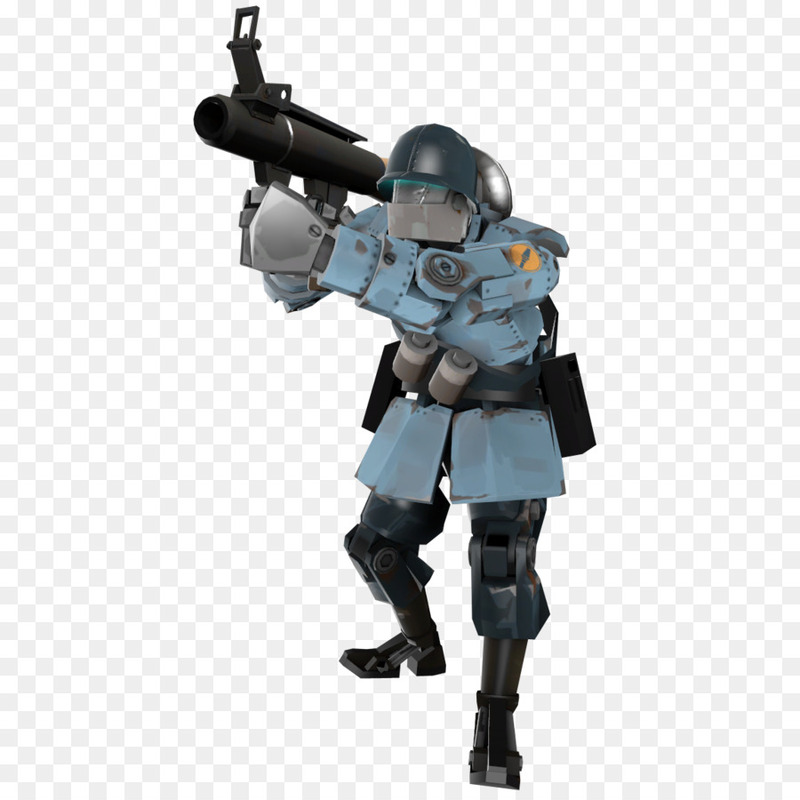 While the minigun and grenade launchers are intended to be frontline brawlers, the rocket launcher robot is more of a long range heavy support unit, similar to the artillery it was built to replace. 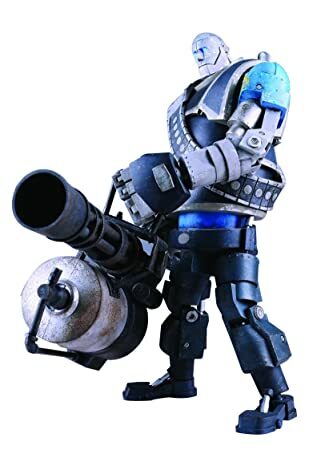 The rocket launcher robot was fitted with a rocket launcher with a four-rocket clip, which it fires very rapidly. The robot has multiple armored belt magazines containing an additional fourty rockets. Less than a month after the Megagunner, the Megablaster entered private production. Intent: To make a highly amplified version of TF2's Frying Pan, which emits a loud noise when hitting an object. Squeak!!!!!!! - When slammed against nearly any material with at least 5 km/h of force, the Sonic Super Hammer's mirophone-amplified squeak will make a noise so loud that any unprotected eardrums or hearing organs within a five meter radius will instantly burst or collapse, steadily bleeding out. For up to twenty meters in proximity, the hammer will create a painful ringing in the ears. War Toy - The Sonic Super Hammer has the characteristics of a large toy, allowing it to be carried and swung with ease. Toy - The Super Sonic Hammer becomes completely useless if enemies have protected hearing organs. It cannot even bruise skin, has no armor-piercing qualities, and is easily snapped by other melee weapons or even kneecaps. Low Battery - The Super Sonic Hammer can only be swung about one hundred times before running out of battery for its microphones. To recharge, the Super Sonic Hammer must be put in a specially designed solar charger for about ten minutes. One day, one of Rick's employees jokingly asked for the company to begin producing rubber hammers. Rick complied, making them into deadly weapons. 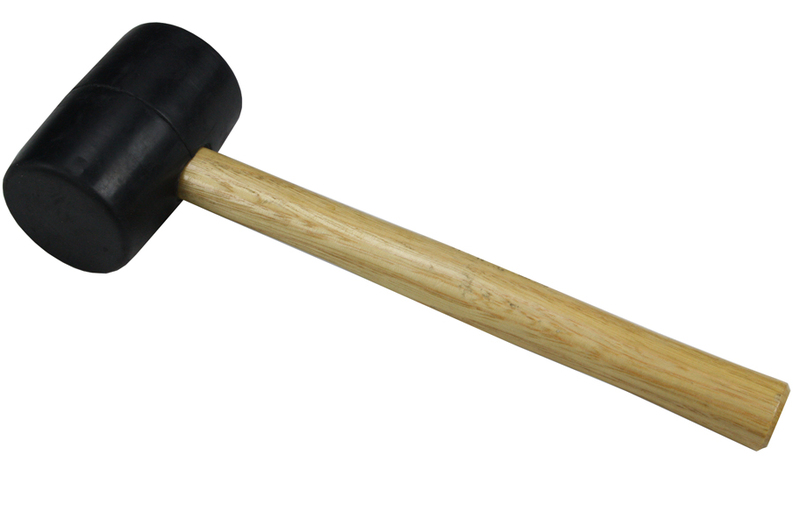 Within the large rubber mallet of the enlarged hammer lies nearly a hundred microscopic yet powerful microphones, which pick up the noise of squeaking rubber and amplify it tremendously. In fact, the effect is great enough to bleed an unprotected being out and cause permanent deafness. Measured in decibels, the most powerful swing ever recorded reached a terrifying 500db, over three times as much noise as a point-blank shotgun blast. Intent: To make a powerful electronic disruption weapon. Tesla - The E-5 Tesla Cannon wields the power of electricity to inflict massive damage. Supercharged bolts of static electricity are discharged through organic matter and conductors alike, causing severe internal burns and rapid mechanical failure. Sapper - While powerful against infantry, the tesla cannon is also incredibly effective against most heavy armor and a charged shot has the potential to temporarily disable a tank. Against battle droids, the E-5 is an extremely effective counter, capable of disabling even the largest and most well-armored of droids within seconds. Conductive Nature - The E-5's electricity bursts are drawn towards conductors, and will actively target metals further away than insulating counterparts. Consequently, reduced accuracy and even friendly fire are common issues with the E-5. Don't Touch - Shock! - When the E-5 Tesla Cannon is fired for more than one second, electricity will transfer from it to the gun itself. While this does not harm the gun, it can send deadly sparks up the weilder's limbs, potentially paralyzing them. Consequently, rubber gloves must be worn when wielding the E-5. Taking inspiration from the much smaller ion pistol, the E-5 Tesla Cannon is a massive handheld electricity cannon. Inside the gun, the loaded power cell is sapped and then put through a vast line of wire surrounded by insulators, forcing the electricity out. Due to accelerators in the wire and the insulating nature of the exterior, the electricity has nowhere to go but out rapidly, creating a powerful, continuous set of sparks. The fifth model of the E-Tesla cannon, it was finally refined to become safe enough to be usable for the Sixth Fleet. As well as being handheld, it can also be put on a tripod to handle its weight better.